Turns out 5D is essentially an agressive marketing ploy for a patent that has gigantic range of applications for watching TV, gaming, and more. 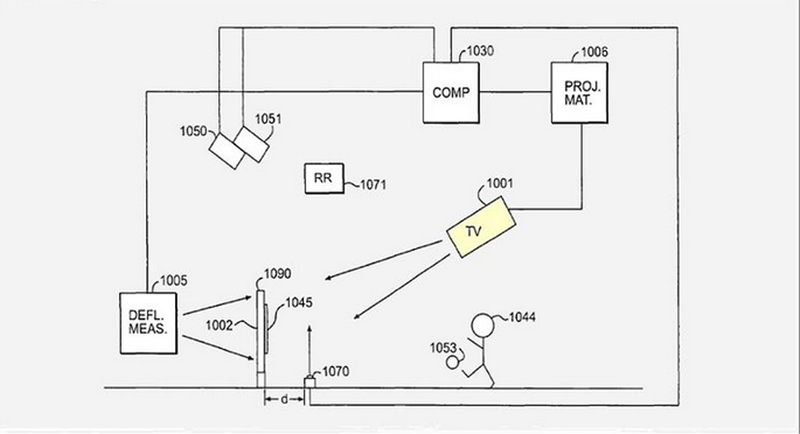 Like a Disneyland ride on steroids, the system Apple proposes harnesses gesture-controlled gaming in the style of Kinect or Wii, video-conferencing, and virtual reality gloves for what could be a super-immersive home entertainment experience. The gloves, as described, could change their resistances to electromagnetic forces, heat, or air, and more. The patent also covers tactile feedback technology—meaning the ability to start a futuristic car or signal a device through a handprint instead of any sort of key or button. And in Apple's version of our 5D future, touchscreens don't necessarily need a capacitive panel; they could be pretty much any material.